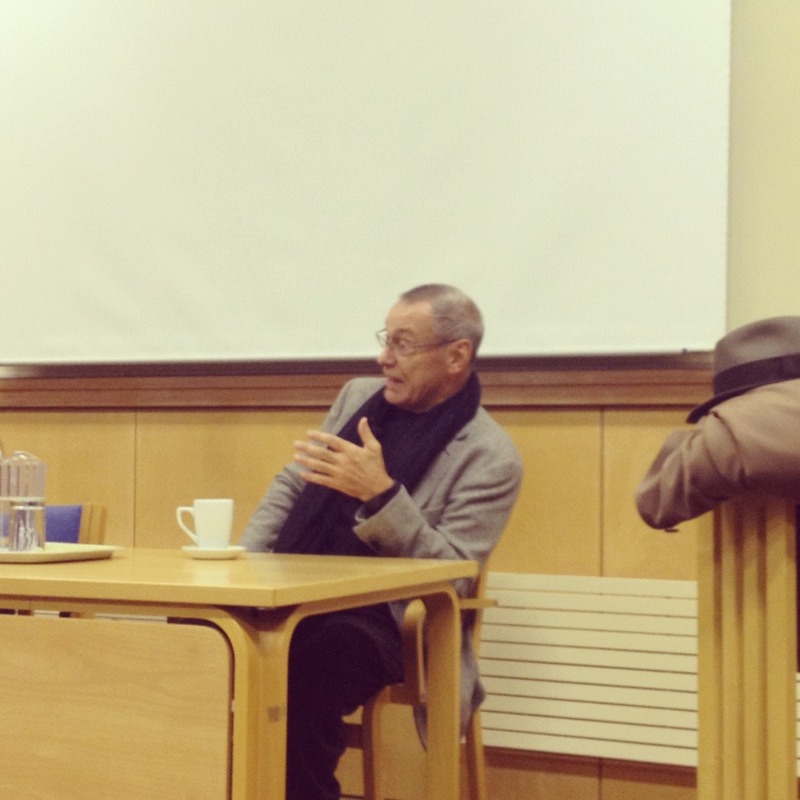 The recent visit of Andrei Konchalovsky, the prominent Russian film director, to Oxford was co-organised by the Russkiy Mir Foundation and the Oxford University Russian Society as part of his 75th birthday celebrations and tour of the UK. He was to speak at St Antony’s College on “Society and Culture in Russia” – really just a way of saying that the subject of his talk was unspecified, and so we had no idea what to expect. As the organiser of the ongoing retrospective of his films, I was invited to join him and few selected others for tea and biscuits at The Old Parsonage restaurant just before the talk. When I arrived the whole party was already there. 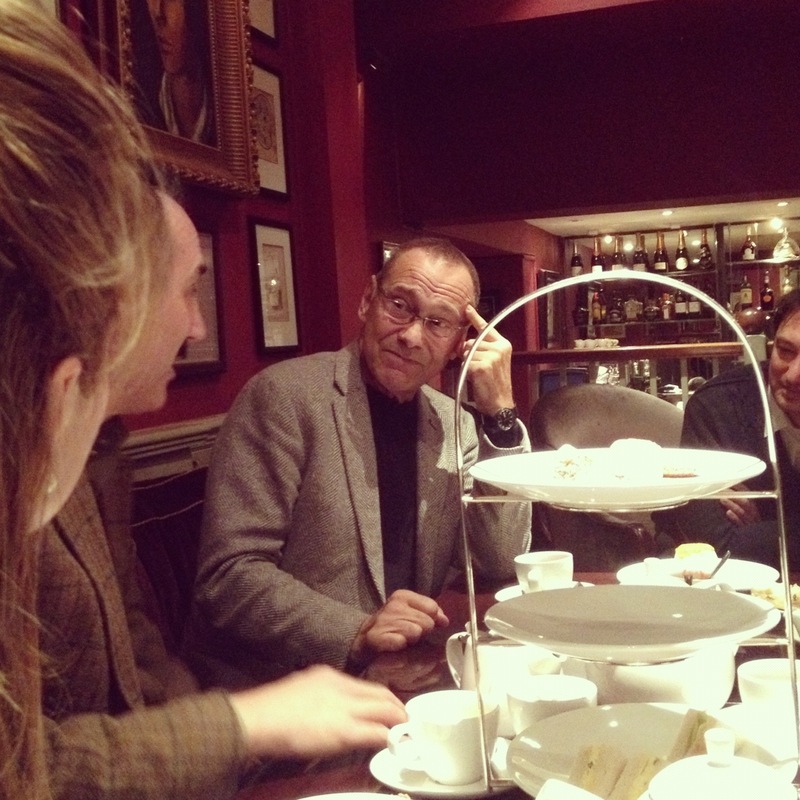 Konchalovsky was surrounded by the event organisers and two Russian studies academics, all of whom were eagerly taking turns in asking him what he thought about Russian history, Russian politics, the Russian predicament… Being an outspoken public figure with famously strong opinions on these matters he was happy to pontificate between scones. Konchalovsky looked noticably tired, which is no surprise considering his schedule, but that did not at all eclipse his undeniable charisma and engaging presence. Everyone, including myself, was more than happy to listen to him talk and treat him as something of a guru. The director’s tireless self-representation as a social thinker, if not philosopher, casts an impressive spell and none of us were immune from it. My prime interest in Konchalovsky, however, is of course to do with his cinematic output. And as I was trying to formulate a film-related question, the president of the Oxford University Russian Society asked him whether his 2002 film House of Fools celebrates the Russian (Orthodox) tradition of yurodstvo (holy foolishness), which is strongly embeded in Russian society, and which means that mental weakness, spiritual meekness and, as a result, conformity, are often perceived and talked about as virtues in Russian culture. Since Konchalovsky is a passionate proponent of the Protestant ethic and individualism, I thought it was a great question. Alas, it was not to be answered, as the director’s reaction to the question was irritated. Films are not there to be discussed, he said, and it’s wrong to ask an artist to explain their work. I’m afraid that at this point Konchalovsky’s spell has expired on me, as I am a big believer in the magical power of discussion and analysis of art. Plus, it was clear that I was not going to get him to answer any film questions of mine. 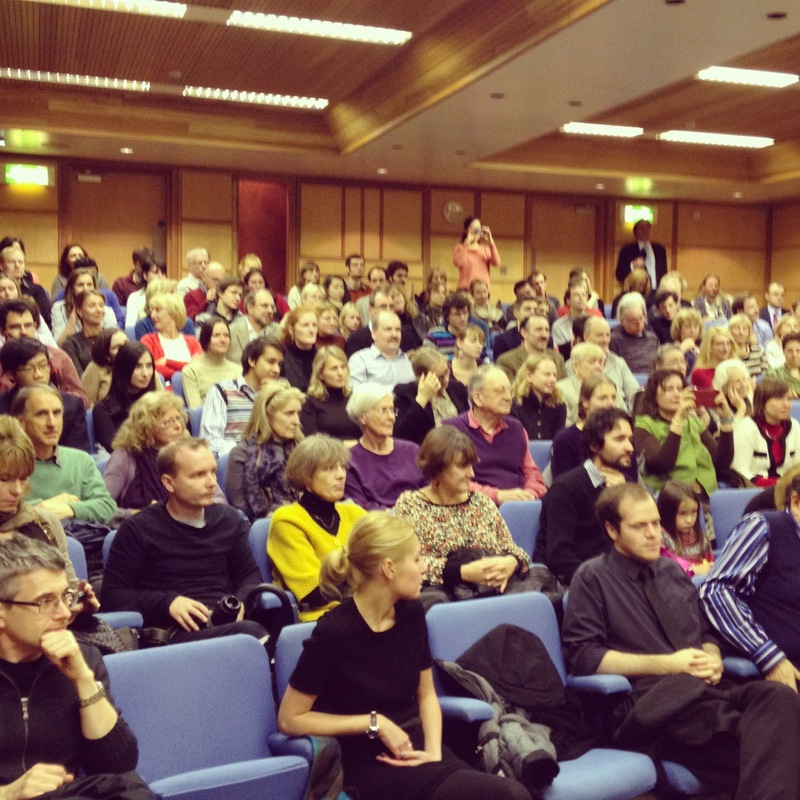 About forty minutes later, in the huge lecture hall at St Antony’s College, the talk was about to begin. The turnout was fantastic. All seats were taken and many people were left with standing room only. The buzz was great, the atmosphere very positive and welcoming to the speaker. He opened by saying that he was not there to discuss films, and if anybody had a film-related question they better get it out of the way straight away. No one dared to. Konchalovsky then went on to elaborate on his reductionist idea of why it is wrong to analyse art. It is only there to make us laugh, cry and fear, he said, and thinking has nothing to do with it. You watch a film, you react to it, you go home. To me this sounds like consumerism, but the point was not up for a debate. This approach, however, might be helpful in explaining why his post-Hollywood films are less interesting artistically, if not outright worse, than his undoubtedly great early work of the 1960’s and 70’s. It looks like his Hollywood experience may have had a profound influence on his philosophy of art. All of this was briefly followed by a few amusing self-depricating anecdotes, including a story of when he saw his film Uncle Vanya being projected upside down. After shouting at the projectionist he heard in reply: “The audience complained of being bored by the film and asked me to project it upside down, which they thought might make it more interesting”. So if the director was not inclined to talk about films, what was he going to talk about? 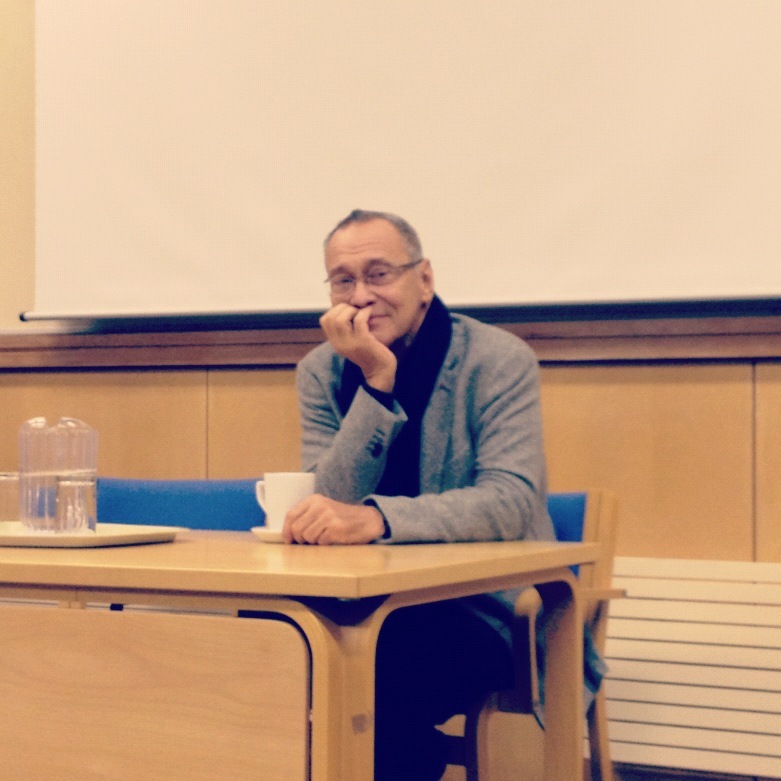 Konchalovsky announced that at this stage of his life he was much more interested in sociology, history and politics, and he was happy to answer any questions in relation to those subjects. The audience more than happily complied. I shall not try and replicate the points of the discussion in detail, but will try to contextualise what was said instead. Around the middle of the 19th century Russian public thought was divided into two opposing groups, which became known as the Slavophiles (славянофилы) and the Westernizers (западники). The latter group, and officially the whole division, grew out of Philosophical Letters written by Pyotr Chaadaev. The gist of his thesis is that Russia is a backwards country which had given nothing to the world culturally and intellectually. The reforms of Peter the Great that brought Western culture and thought to Russia were the only good thing that ever happened to the country and the only way forward was for it to emulate the Western way and try and catch up. Slavophiles, outraged by such ideas went to another extreme and argued that Russia has an independant way of development, that the country should go back to its pre-Petrine Medieval ways, and it’s the West that should be learning from the great and mighty Russia, whose unique positioning between the East and the West gave it an incredible spiritual potential that no other nation could claim. I shall not go into a detailed criticism of this debate, suffice it to say that at its very core it is based on a false dichotomy between the East and the West (see Edward Said for more on this). But it is worth noting that even before the 19th century ended this division, which originally consisted of these rather radical as well as crude points, got more complicated and acquired more subtlety on each side. It continued to do so well into the 20th century (see the difference between the views of the two most famous Soviet dissidents Aleksandr Solzhenitsyn and Andrei Sakharov). However, it is still possible to talk about this division in Russian culture today, albeit in relatively rough terms. Today, it is more of a general vector of thought than an explicit adherence to either side that divides Russian intellectuals on these matters, because, surely, in this day and age it would be rather difficult to use only the terminology and concepts which were relevant in the first half of the 19th century at the very beginning of this division. Well, as it turns out, I am completely wrong on this last point. Andrei Konchalovsky sees no difficulty there and comfortably operates with these concepts. 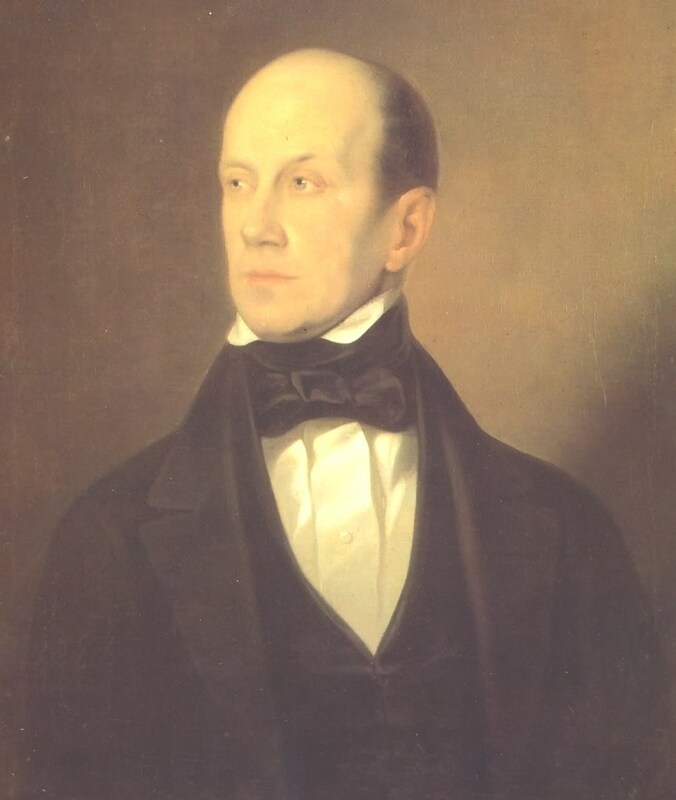 He, quite clearly, adheres to the Westernizers’ view of Russia and quotes whole chunks out of Chaadaev’s Philosophical Letters, albeit without any reference to the man himself. It’s as if the last 170 years did not happen. There is, of course, no problem with either the fact that Konchalovksy has these opinions or the fact that he shares them publicly. Or rather there would have been no problem, if he did not present himself as a social thinker, and if the public did not take him seriously as one. And here I get to a larger point, which for me lies at the heart of the problem within Russian public intellectual discourse. It seems that Russians would much rather listen to a film director, poet, writer, or composer talk about the state of Russian politics, education, and healthcare system as well as its history and future, than hear the thoughts of any academic, specialist or expert on those subjects. For some reason the “poets” (“In Russia a poet is more than a poet” – Yevgeny Yevtushenko) always have the last word on these matters. I am more than happy for artists to raise political matters in their art, I love a zingy social satire and a witty metaphor, to which it is such a pleasure to refer in a heated political debate. But surely this should not define the public debate, let alone eclipse the incredible developments in the variety of social sciences of the last 100 years. Konchalovsky might claim to be interested in the social sciences, but I am sorry to say that I saw no awareness of those in his thoughts. Which brings us back to his dismissal of the discussion of film. Unlike what the director claimed, film studies do not exist in opposition to the social sciences. Film studies are in fact an extension of the social sciences. And this is why when he was doing a mini survey of the audience’s academic focus, I raised my hand twice, once when he asked how many people studied social sciences and once when he asked who studied film. The questions that I would have loved to ask him are related to his artistic output. For example, about how his Westernizing sentiments are expressed cinematically and how they contrast with the work of his brother and artistic nemesis Nikita Mikhalkov, a passionate and outspoken contemporary Slavophile if ever there was one. I would have asked about their cinematic debates which we have seen unfold for many years (compare the main artistic, political and social themes in Uncle Vanya and An Unfinished Piece for a Mechanical Piano; The Inner Circle and Burnt by the Sun; House of Fools and 12). And I would have loved to express my undying admiration for his achievements in his world-class masterpieces The First Teacher, A Lover’s Romance and one of my most beloved movies of all time, Asya’s Happiness. Alas, this was not to be. His status as a social thinker was never challenged by the audience, which could just as well be due to politeness. I certainly hope that it was not because Konchalovsky expresses the views of the majority of Russian ex-pats in Oxford and Russian Studies students, of which the audience mostly consisted. In the meantime, the Oxford retrsopective of the director’s films continues and we will be screening his great early work next week. I was disappointed that members of the audience asked questions and would have rather listened to him truly speaking freely. Yes, poets and artists must have the last word!… and there’s no point trying to get something academic out of them. This is not their job. Yes, but I had the impression that Konchalovsky was quite happy to be perceived as some kind of social sciences guru,and wanted to receive questions from the audience about non-art subjects, as if he was a visiting professor. That’s what annoyed me.